Amethyst and Sterling silver pendant. 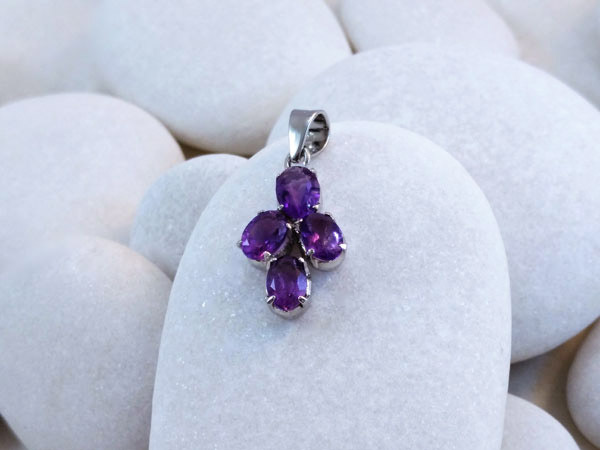 Faceted Amethyst and Sterling silver pendant. Measure 1" high and 0.4" wide.